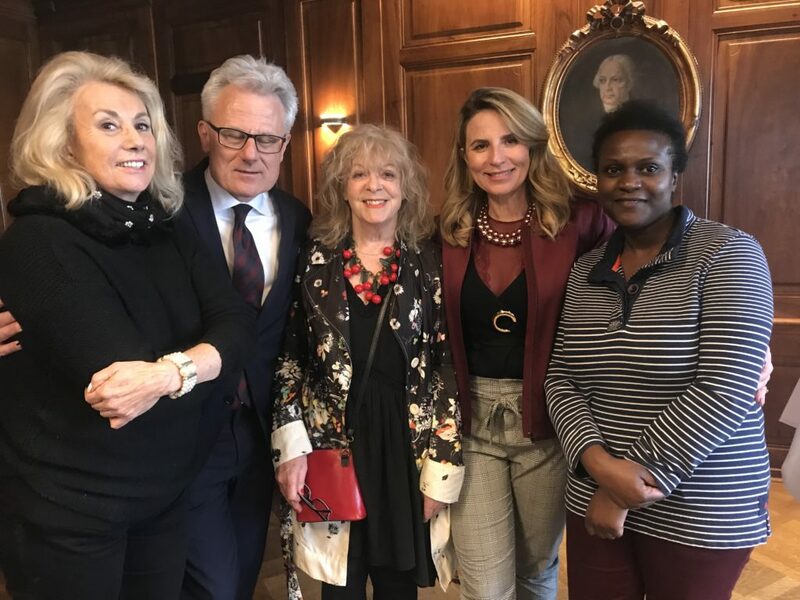 In the famous Zunfthaus zur Waag in the heart of Zurich, The ‘Taten statt Worte’ Charity took place exhibiting powerful eye catching paintings from different period of times. 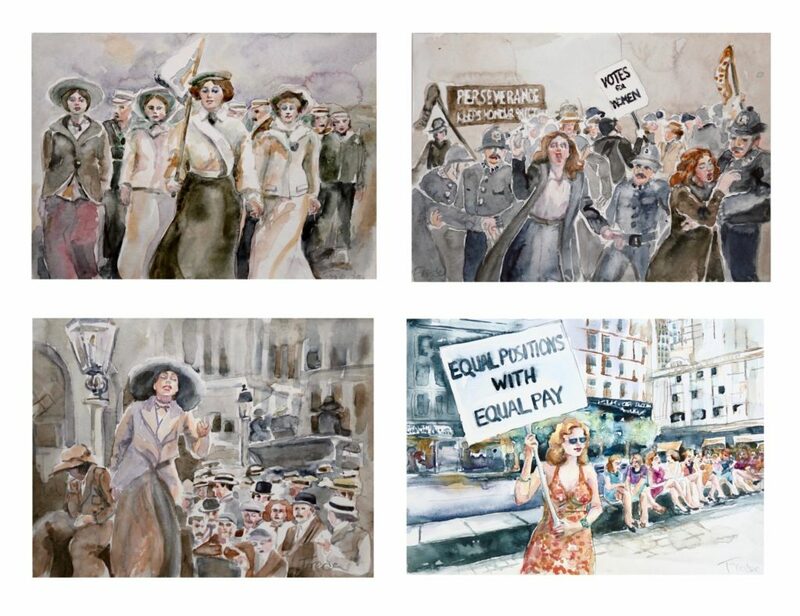 Elaine Pringle-Schwitter and Freda Alschuler worked together to develop emotive images of the suffragettes and their struggle in the early 1900’s and in Switzerland in the 1970’s. A fact that many of us take for granted but it was a major encounter for women. 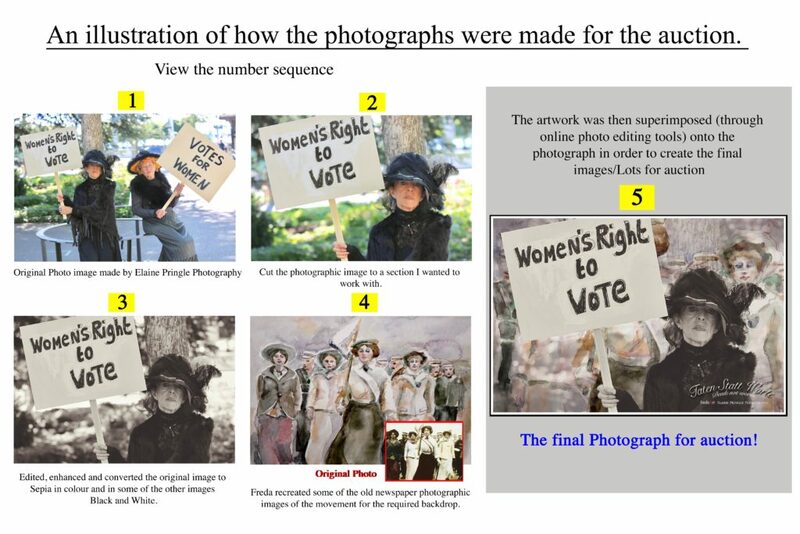 The suffragettes movement fascinated both Elaine and Freda to create such an original event. Elaine Pringle-Schwitter is a commercial photographer and photo journalist. She is regularly commissioned for event shoots and shows. Her portraiture work got featured in The Guardian Travel and other publications with her landscape photography. Freda Alschuler is a well known Portrait Artist whose work has been exhibited in the Saatchi Gallery, auctioned and published in many books. With her Venice Girl piece, she won the prestigious 2008 ‘Showdown’ award. They decided to create juxtaposed images of powerful, unstoppable leading women. The images are a combination of photographs taken with the artwork.